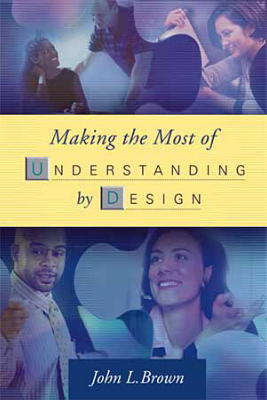 Thousands of educators worldwide are already using Grant Wiggins and Jay McTighe’s Understanding by Design (UbD) as a framework for designing curriculum units, performance assessments, and instruction that lead students to deep understanding of content. Sustain a successful process of continuous improvement and strategic planning. Each chapter concludes with organization-focused assessment questionnaires and related resources that can help you--as an individual or as a member of a study group or action research team--develop a clear, strategic sense of how to make the most of Understanding by Design as a catalyst for real learning, increased student achievement, and school and district renewal. JOHN L. BROWN is an educational consultant for ASCD, where he works with product and professional development and serves as a member of the national training cadres for Understanding by Design and What Works in Schools. He is a former Director of Staff Development and Program Development in Prince George's County Public Schools, Maryland, where he also served as Supervisor of the University High School Magnet Program.